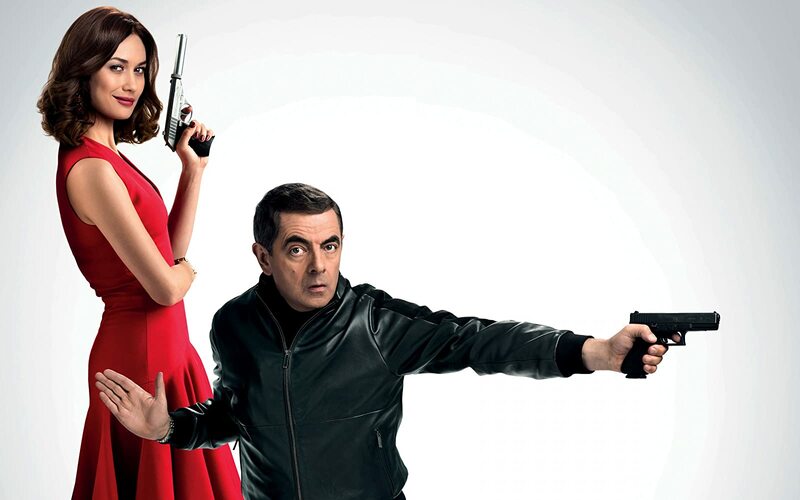 O@tM: Johnny English Strikes Again – Thar She Blows! Oh, hello. 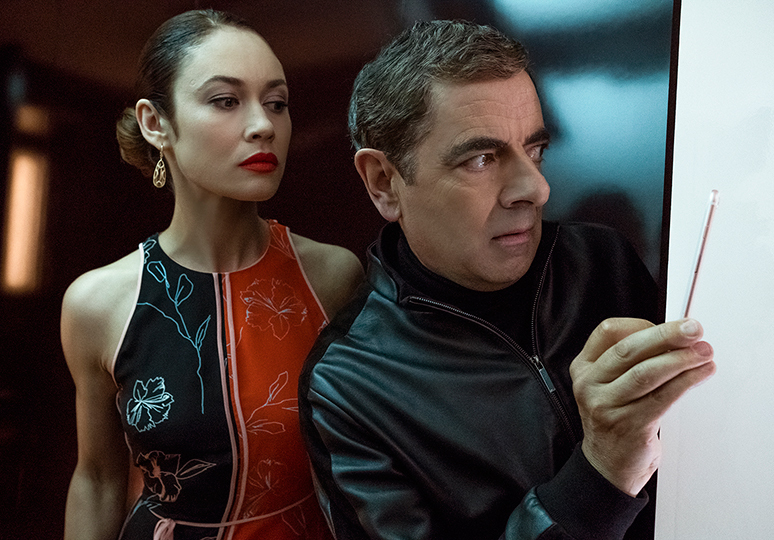 🙂 We’ve watched the first Johnny English film in 2003, and all I remember is that it was a boring drag. Hubby insists he was well-entertained, but hey, this is my blog, my fukn film expertise so let’s assume the first one was crappola, ok? If hubby keeps on having deviating views and opinions from mine, he’s more than welcome to start his own blog. So, basta! We never watched the second movie, not that I can remember, but yesterday hubby downloaded this third installment and I – out of curiosity – joined him in watching JESA. I’m feeling like I’m through with Rowan Atkinson, Mr. Bean, Blackadder and all his other characters. I feel like he had his time in the sun, even a movie that played in America with some American actors, and now he should think about retirement. Before he and his characters and antics become to abrasive and obnoxious, you know? But as it turned out JESA was surprisingly entertaining, well-paced, not too awkward and had us smiling and giggeling pretty much throughout the complete runtime. It wasn’t the funniest comedy, it wasn’t the cleverest spoof or the most anarchistic British humour ever, but it was ok-ish. The budget was high enough for very decent production values; the principal photography, the locations, the set pieces, it all looked decent. Yes, even the CGI was nothing they should be ashamed off. All in all was JESA not the gag fireworks we hoped for but it was miles above the first two JE installments. 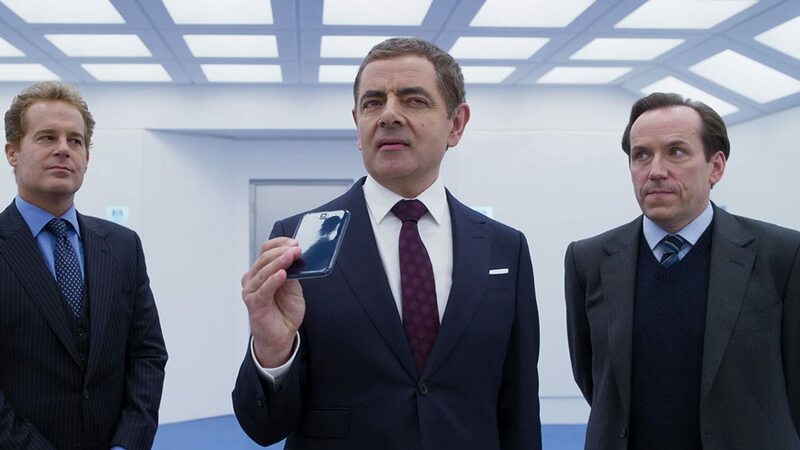 I guess they’ve learned from past mistakes were they neglected the need for a good screenplay but trusted solely in Rowan Atkinson’s fame, knowing his star doesn’t shine as bright anymore as it once had and put more emphasis into making a decent movie. And it showed. 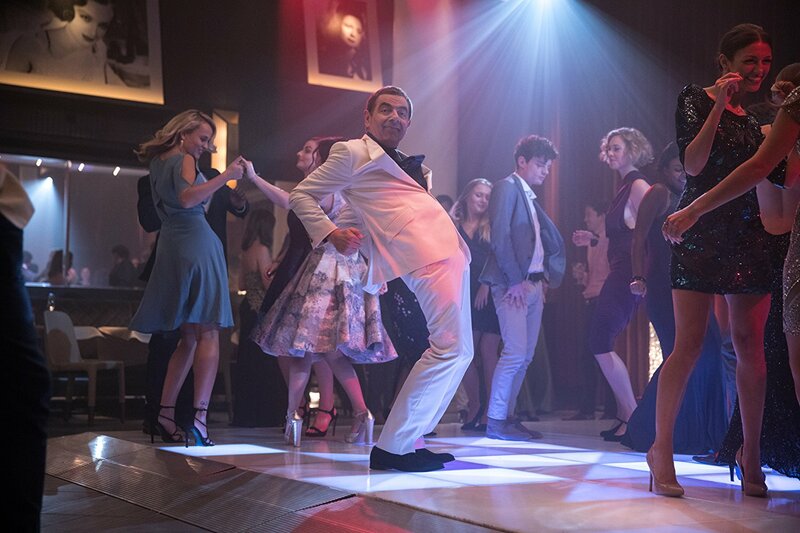 CONCLUSION: There is not much to say about Johnny English Strikes Back. 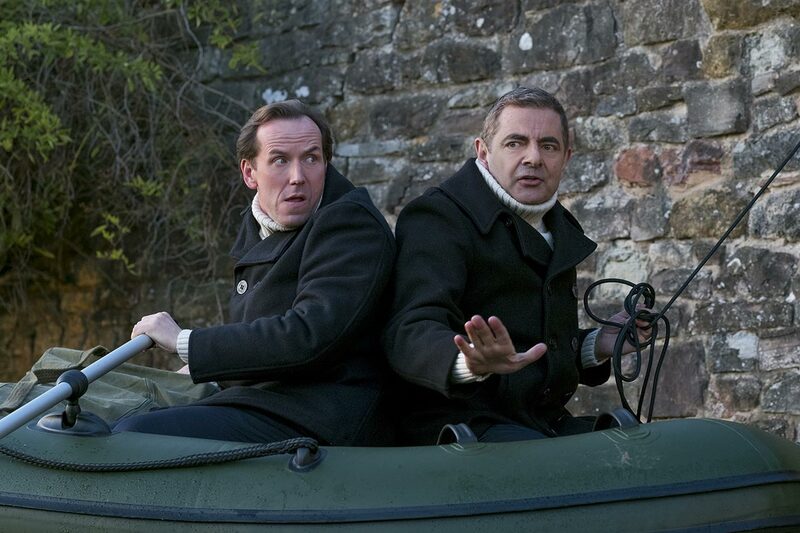 It’s a solid effort that just falls short of entering the hall of fame of British comedies. 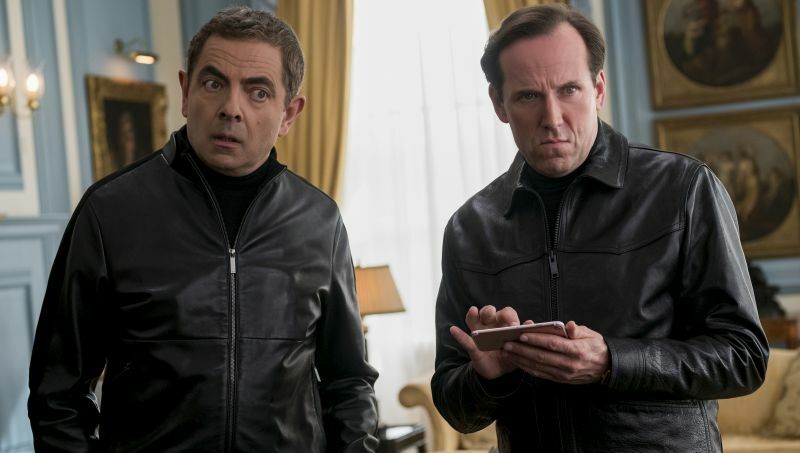 It lacks that special black flavour of great English humour and is altogether a bit too tired and formulaic … and unimaginative. WATCH IT? Yeah, why not. It’s not a must-watch but it doesn’t hurt and supplies you with a good time if you have some beers with it and don’t expect too much. Of course Mark Kermode, as fellow Brit, gets the honour of being first. I’d watch it. 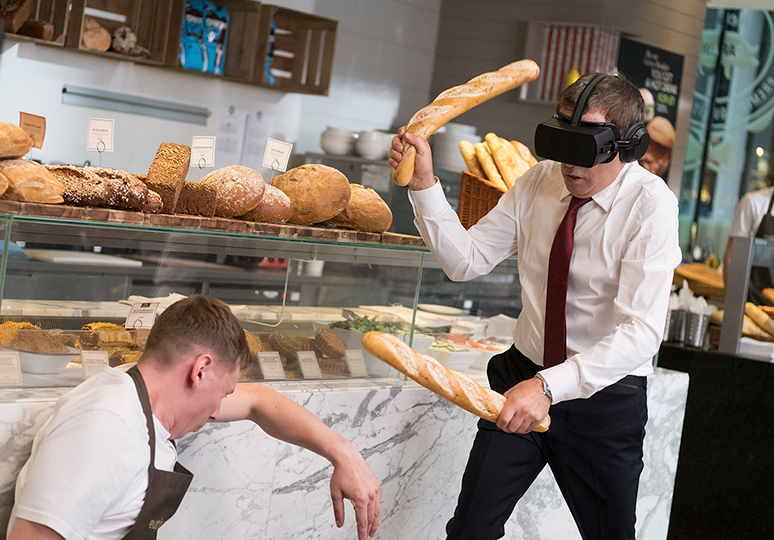 I’m a sucker for comedy–even not that great comedy. Did you ever see The Brothers Grimsby? You and hubby should see THAT one. My spouse still can’t listen to me talk about the “elephant” scene. He gets too grossed out. But I laughed so hard I almost suffocated. Hear about but never actually watchered The Brothers Grimsby. But I just see hubby downloaded it so that’s gonna be our xmas eve entertainment. Cool, I love Mark Strong. Yay! I hope you get a few chuckles. I love Mark Strong too. We downloaded A Very Harold & Kumar Christmas for our holiday entertainment. As I recall, Neil Patrick Harris was fantastic in it. Thx for this xmas prezzie, Stacey. Have a wonderful good time with your family and loved ones (not necessarily the same) yourself.